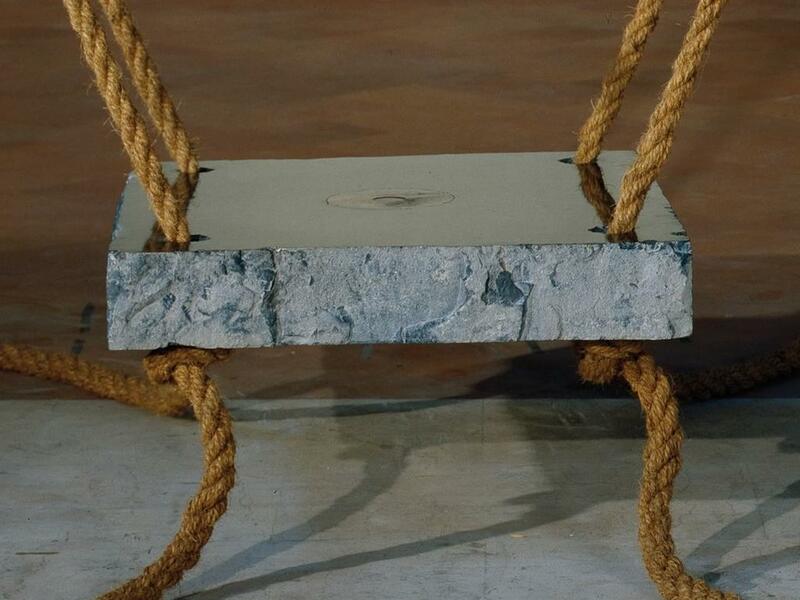 Materials: black Belgium marble, travertine, rope, water. Dimensions: m. 1,4 x 4,8 x h 5. In the deconsecrated church of Saint Domenic at L’Aquila, Maria Dompè has proposed an idea that reworks in an original way a traditional sacred furnishing in Christian churches, the container of Holy Water, changing its position and giving it an absolute centrality. The slab of black marble - with its considerable weight of 330 kg. 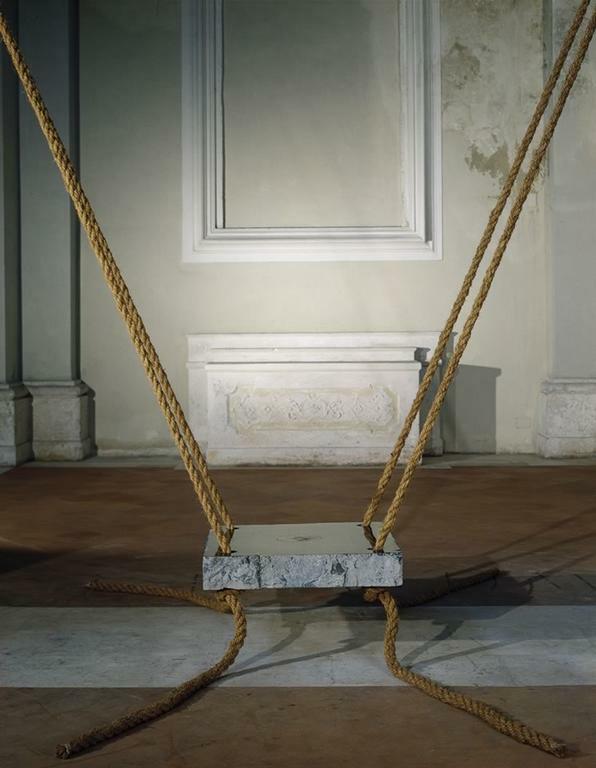 - is suspended, in an extraordinary equilibrium, from the four ropes attached to pilasters; the same ropes, with their ends on the ground, mark the boundaries of the space of the incursion, while at the centre of the marble block a circular inlay of travertine creates a strong and suggestive chromatic contrast. The superior part of the inlay is lightly carved in order to form a small conch in which the water collects, making immediately clear the theme of the incursion.